For the opening of Fashionclash 2011 Karel van Laere [performance art student, Theatre academy Maastricht] dragged four models over the 32 meter long fashion-runway. The models were subjected to electrical hoists and their silicone/ wet suits created ‘snaillike’ lines on the floor. 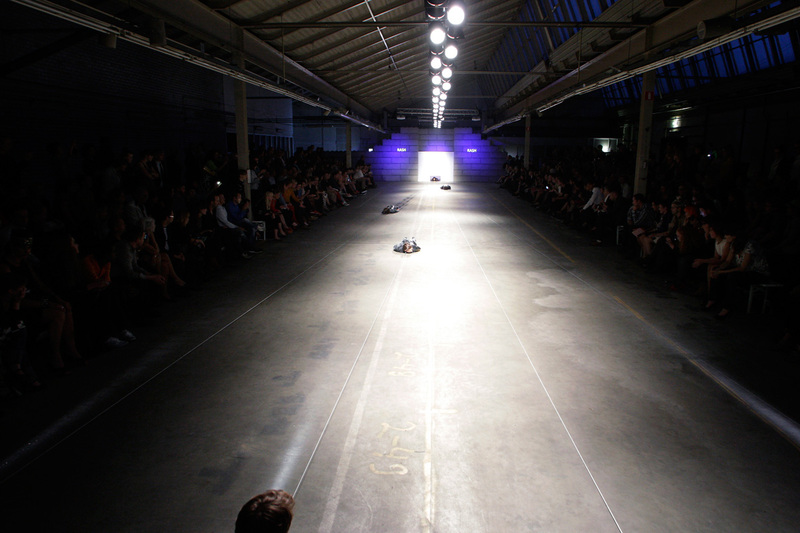 For many people, the performance by van Laere was one of the highlights of Fashionclash Maastricht 2011. Technical assistence	Marijn de Jong, Stefan Jakiela, Jimi Zoet.